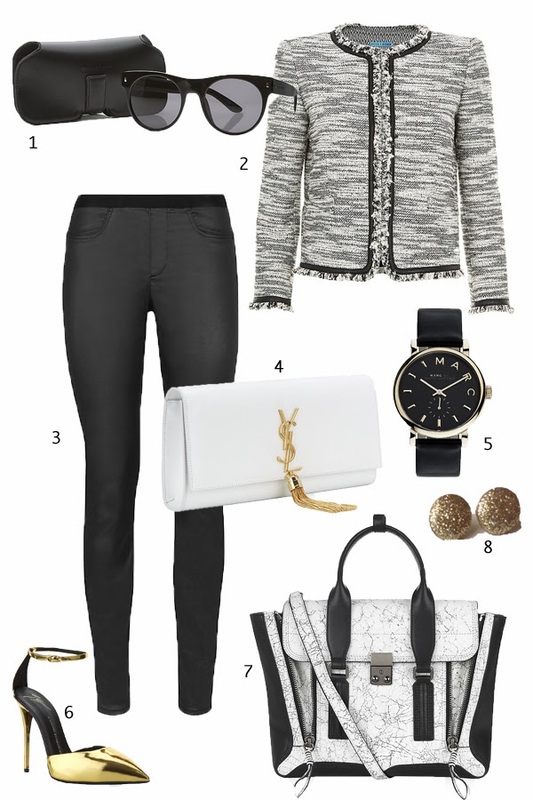 Robyn Vilate: black & white wishlist! keeping it simple and classy with these gorgeous picks via harrods which is an amazing department store in london. i absolutely die over every item they sell (especially their handbags!) and am hoping one day salt lake city will have a harrods (wishful thinking!) i guess online shopping will have to do for now! That bag is soo perfect. I am in love!! Each and every piece is amazing. A great thing about these pieces is that they all go well together. I've been trying to rock the leather pants but for some reason they look very strange on me. We love your whislist, the bag is amazing!